The Eau Claire City Council has heeded the “all aboard” call for an effort to explore the creation of a passenger rail line between the Chippewa Valley and the Twin Cities. The council voted unanimously March 28 in support of a resolution backing the project, which has been created by a group of passenger rail boosters, known as the West Central Wisconsin Passenger Rail Organizing Council, which includes local businesses and the West Central Wisconsin Rail Coalition. The vote commits no public funding to the plan, which is still in its early stages. In fact, local rail advocates hope that the passenger venture can hit the rails with private funds alone or as a public-private partnership. “Whenever you talk about (passenger rail) there’s always a tremendous response from people who say, ‘I would use that,’ ” Scott Rogers, president of the rail coalition, told the City Council during a March 27 hearing. Major Eau Claire employers such as Royal Credit Union and Jamf Software – both of which are involved with the Organizing Council – know that attracting and keeping talented employees depends in part on offering them transportation alternatives, Rogers said. Both millennials (some of whom eschew cars) and baby boomers (who are now looking for car-free modes of transit) are interested in traveling by rail, he added, noting that passenger rail ridership nationwide is the highest it’s been in 50 years. 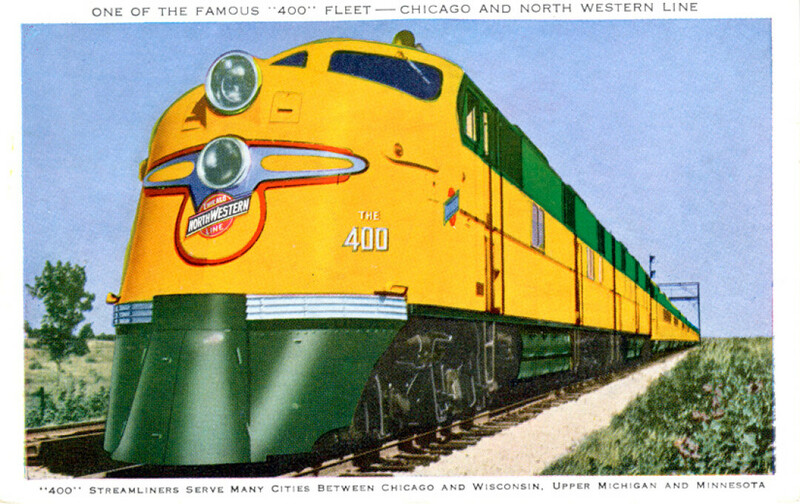 Coincidentally, it was roughly half a century ago – 1963, to be precise – that passenger rail last served Eau Claire in the form of the Twin Cities 400, a Chicago and North Western Railway route between St. Paul and Chicago. The proposed new passenger service – which would travel between a to-be-built station in Eau Claire to St. Paul’s Union Depot – would reproduce at least part of this route. And while the project isn’t in need of public dollars – at least not yet – it does need public backing. According to the resolution, “consolidated support for this project is a prerequisite to the successful construction, start-up, and ongoing operation of this transportation service.” The Eau Claire and Chippewa county boards had previously approved similar resolutions, and Rogers expects more local governments to follow suit. According to a background document provided to the City Council, the local rail plan calls for four round-trips a day between Eau Claire and St. Paul, with a travel time of 1.5 hours. An estimated 900,000 trips could be made annually using the service, supporters say. Following a conservative timeframe, if financial support is available, the line could be operating within three or four years, Christianson told the City Council. Under a best-case scenario it could be running closer to 18 months from when the decision to move forward is made, Christianson said. Rogers, of the rail coalition, added that the privately funded projects in other parts of the nation – such as Brightline in Florida and Texas Central in Texas – serve as inspirations. So do public-private venture, including Uptown Station in Normal, Illinois. “There’s a lot to learn, but we’re seeing these other innovations around the country,” Rogers said. Councilman Dave Strobel said he was encouraged by the proposal and fully supports it. “Every time I drive to the (Twin) Cities and get hung up between two semis on two lanes of traffic, I’m looking for a third lane,” Strobel said. “This might lighten the load on the interstate.” In addition to easing highway congestion, Strobel said that riding the rails may save travelers money: He noted that he recently paid $190 to keep his vehicle at the Minneapolis-St. Paul International Airport for a week, far more than the estimated $32 cost of a one-way ticket on the proposed rail line. Rogers said the rail advocates’ new step is to reach an agreement with Union Pacific to study the existing track to make sure it could handle the proposed passenger service. Results are expected in the fall, and they will be helpful in determining an overall price tag for the project, he added. The next monthly meeting of the West Central Wisconsin Rail Coalition will be at 6pm Wednesday, April 26, at Chippewa Valley Technical College, 620 W. Clairemont Ave., Eau Claire. It will feature a presentation by Corridor Capital, a passenger rail development company that is interested in the project.